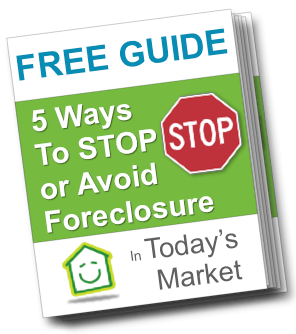 Download Your FREE Foreclosure Guides! The first step in getting back on the right foot financially and emotionally is educating yourself. A foreclosure isn’t the end of the world and there are solutions where you can avoid or many times stop a foreclosure. Solutions from working with the bank or with real estate solutions companies like ours that purchase houses at fair prices for all cash are all covered in this FREE guide. If you need help any time during the process, give us a call or request an appointment. We can walk you through your options, look at your specific situation, and in many cases help you stop foreclosure. We love helping homeowners like you who are in tough situations find a win-win solution so you can get back on your feet and back to normal life. Our solutions range from helping you work with your lender to get your payments to where you can manage them again, we can buy your house for an all-cash fair offer in as little as 7 days, or several other solutions. In the end, we present you with all of your options, then let you choose what’s right for you. If you want us to look at your situation and show you all of your options, with no hassles at all, just honest information and guidance, visit our appointment request form and tell us a bit about your house and your situation. It takes 5 minutes and could help you find the solution you’ve been looking for.